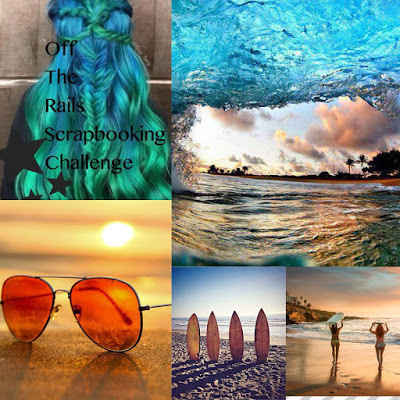 Summer is here and I have a the perfect beachy themed paged to share. This photo was a selfie taken on the balcony of a place in Hawaii where we were staying. You can't tell from the photo, but the view was gorgeous! Once again, the perfect background paper comes from Craft Smith's Summer Dream stack. I used a piece of dark green cardstock from DCWV's All Chalked Up stacked as a photo mat, and further decorated the page with colored paper doillies. This page was inspired by the lovely mood bard for Off the Rails Scrapbooking June challenge. I really loves the tones in the blue and green hair and made that my primary color palette. 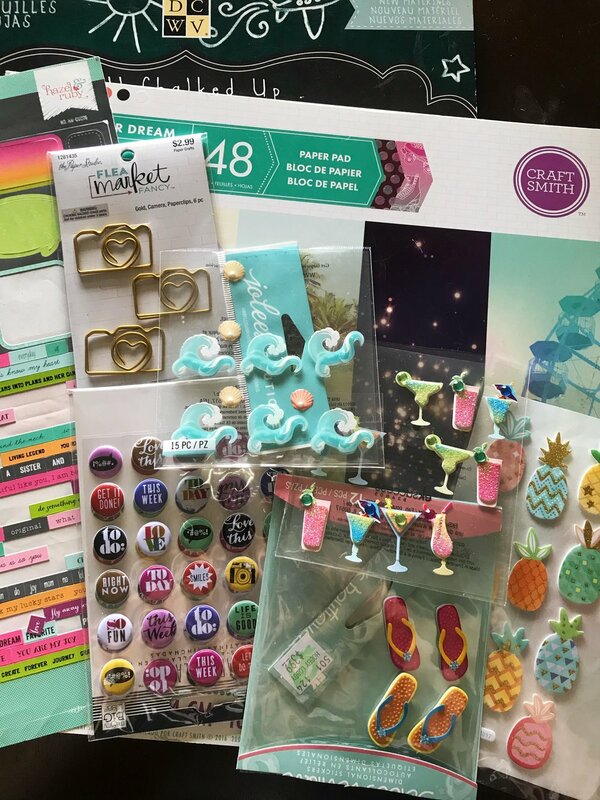 I raided my stash for beach and summer themed embellishments that also fit with the mood board. 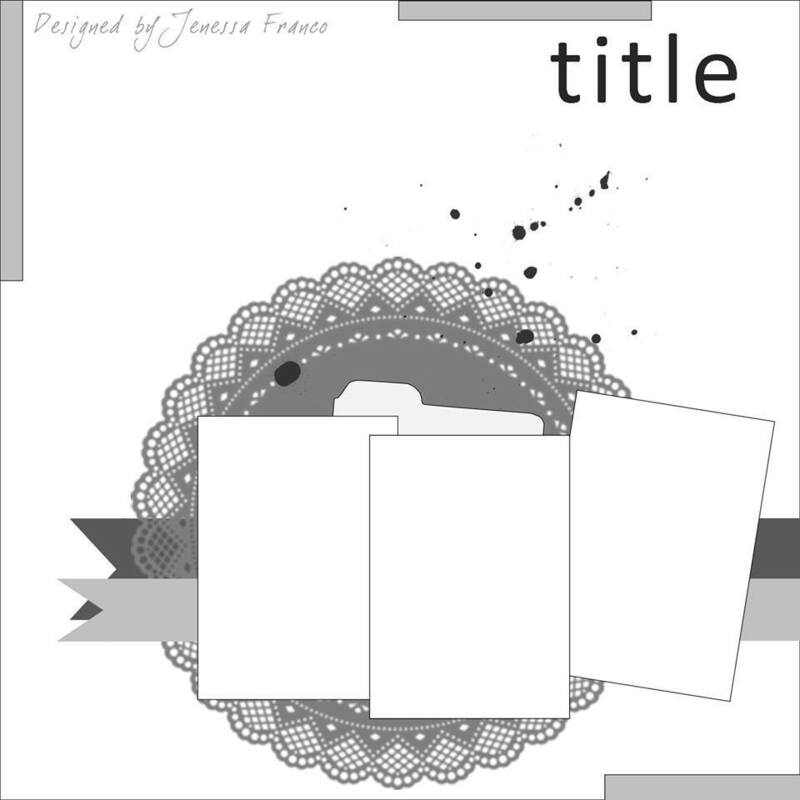 I have used Sketch 327 from Sketches in Thyme for this layout. While this sketch was set up for 3 photos, I only had 1, and filled the extra space with matted scrap paper and embellishments.